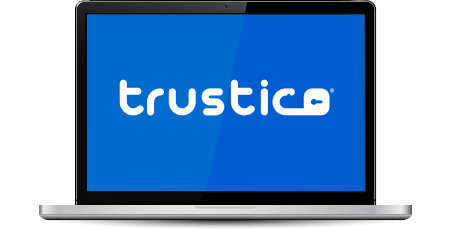 Become a reseller of Trustico® and then take advantage of our module in conjunction with your WHMCS installation to sell and manage your SSL Certificates. Our module for WHMCS is easy to use and is seamlessly integrated into the WHMCS admin and client area. WHMCS is an all in one client management, billing & support solution for online businesses. Handling everything from signup to termination, WHMCS is a powerful automation & support tool. WHMCS is available as either a leased product that you pay for each month, or owned where you pay a one off fee with optional yearly support & updates. We've partnered with WHMCS to ensure you get the latest WHMCS offers and products. You can now start selling and managing SSL Certificates with our fully featured WHMCS module. Our module will allow you to automatically setup Trustico® SSL Certificate products within your WHMCS installation, ready for you to set your pricing structure and sell SSL Certificates to your clients. Get started within minutes by ordering the Official Trustico® WHMCS Module from our dedicated web services division, Trustico® Web Services (TWS). When you purchase the Official Trustico® WHMCS Module it includes 12 months free support and upgrades, which can be extended at any time so that you may continue to receive the latest version of the module as future products and features become available. We offer a premium installation option for those resellers that prefer we install and setup the module. We'll work with you to get the module installed correctly and set your pricing structure. The Official Trustico® WHMCS Module works automatically with your Trustico® reseller account, enabling automated issuance of SSL Certificates via the WHMCS ordering system and the Trustico® API. Step 1 : Obtain your license. To successfully use the Official Trustico® WHMCS Module a valid license is required. You can obtain a license by Clicking Here and following the instructions. Step 2 : Download the Official Trustico® WHMCS Module from the client area. To find the module zip archive, navigate to the services screen, select the Official Trustico® WHMCS Module and click your customized download link. A zip archive containing the module files will be downloaded. Step 3 : Take a copy of your license key as it will be required to successfully activate the module. The license key is located in the same place as your customized download link. Alternately, the license key will also be sent via e-mail. Step 4 : Once the module zip archive file has been downloaded, unzip the archive. The unzipped archive will subsequently contain a modules folder. Step 5 : Inside the modules folder there will be "addons" and "servers" folder. Both of these folders will contain a "trusticossl" folder. The "addons" and "servers" folders needs to be copied into your WHMCS "modules" directory. We recommend you create a backup of your current "modules" directory and then proceed to add the files to your WHMCS installation. Step 6 : It is a requirement to edit the the license.php file before activation. The file is located at <whmcsrootfolder>\modules\addons\trusticossl\license.php and a text editor should be used to add a valid license key. Step 7 : To activate the Official Trustico® WHMCS Module access the WHMCS administration area and navigate to "Setup" → "Addons" and click the Activate button located next to the module. Step 8 : Click the "Configure" option and enter your Trustico® reseller API credentials. Step 9 : To test the API connection navigate to "Addons" → "TrusticoSSL" and click "Test API Connection". If the installation has been performed correctly a success message will be returned. In the event of an error message, ensure that your firewall allows outbound connections on secure port 443. Step 10 : Once a successful API connection has been made, you may proceed to install and configure the Trustico® SSL Certificate products that you would like to sell. Step 11 : You will need to unhide the Trustico® SSL products group. If desired, rename the group to an alternate name. Important : Do not change the product names as this will break the module. You may only rename the group name. Step 12 : You will need to set your pricing options for the various products by clicking "Manage" option and subsequently the pricing for the various addons by clicking "Configure Options".